The lake, riverfront and parks display a scene truly unique to Turangi. This welcoming city is known for its hiking, fishing and bars. With a vacation rental, you get a home away from home—many rentals offer full kitchens and outdoor grills for some home cooking. Travelers enjoy Turangi for its skiing. To make the most of the cold weather activities, you might consider visiting in May, October, January or June, when snowfall averages 0 inches and temperatures average 41°F. Fly into Taupo (TUO), the closest airport, located 22.6 mi (36.4 km) from the city center. Where to stay around Turangi? 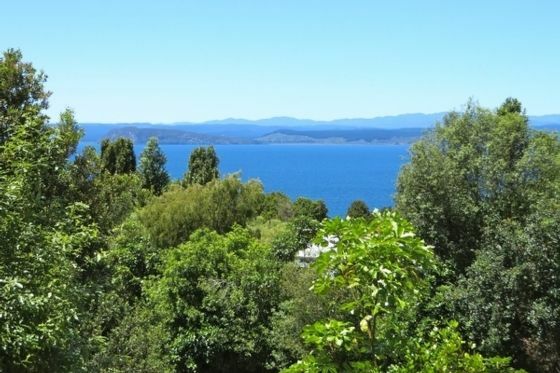 Our 2019 accommodation listings offer a large selection of 96 holiday lettings near Turangi. From 87 Houses to 4 Bungalows, find unique self catering accommodation for you to enjoy a memorable stay with your family and friends. The best place to stay near Turangi for a long holiday or a weekend break is on HomeAway. Can I rent Houses in Turangi? Can I find a holiday accommodation with internet/wifi in Turangi? Yes, you can select your preferred holiday accommodation with internet/wifi among our 30 holiday homes with internet/wifi available in Turangi. Please use our search bar to access the selection of holiday rentals available.